What makes a company truly outstanding? What is the secret sauce of delivering successful results over multiple decades? 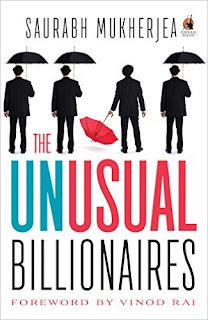 They are Unusual Companies, built by Unusual Billionaires. This book tells the story of these seven companies, handpicked out of 5000 listed on the stock exchange. Built by visionary business leaders, they have delivered outstanding results for a decade and more. How did these companies do it? Why couldn’t this be replicated by other companies? Mr. Saurabh Mukherjea, bestselling author of Gurus of Chaos, delivers an exceptional book with lessons to learn from these seven businesses. Mr. Mukherjea tells you why focusing on the core business is central to corporate success and how a promoter giving up control to the top management could be a boon. He also explains how investors can generate market-beating investment returns from identifying companies such as these using a simple set of metrics. 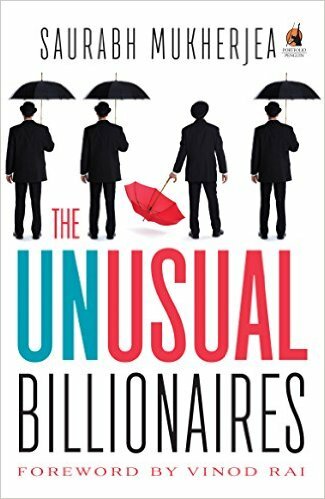 Packed with these learnings are riveting corporate stories of how Hindustan Unilever made an aggressive bid to buy Harsh Mariwala’s business, but had to sell a business to him in a few years, or how Page Industries found an innovative way to stop unionization at their manufacturing units. Other stories include the turnaround of Axis Bank and the boardroom coup that led to its chairman’s exit and how Mr. Vijay Mallya sold Berger Paints to the Mr. Dhingra brothers. This book is mandatory reading for anyone who wants to understand how business is done successfully in India.